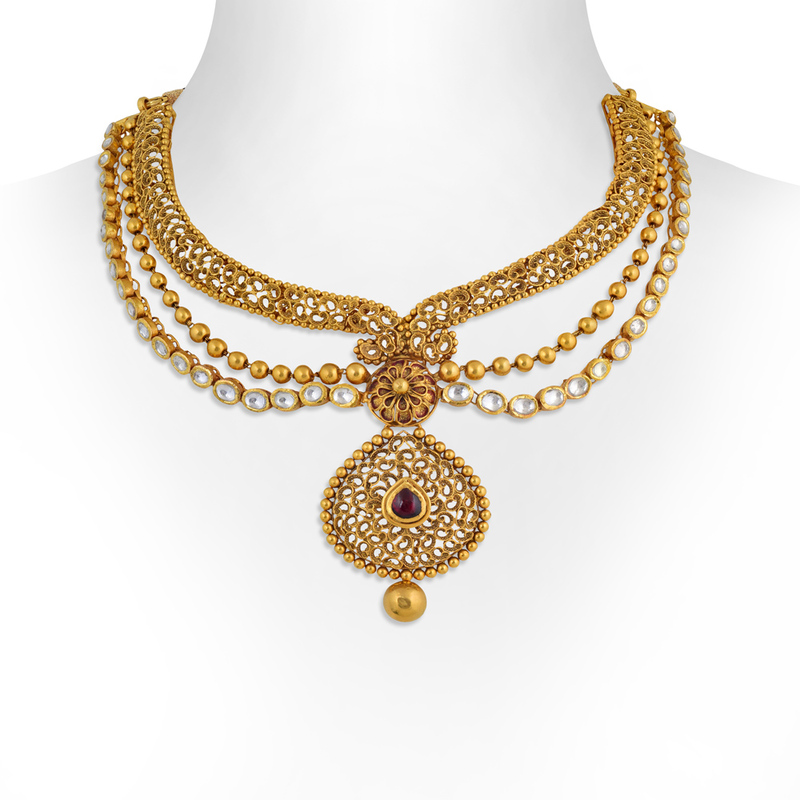 The Paisley Gold Necklace Set in 22 KT gold is a masterpiece that mixes style with excellence. The heart motifs on the necklace design along with kundan settings on the outer layer enhance its gorgeousness. Added to it is the large drop pendant that has filigree work on it and a coloured stone on the centre. The drop earrings resemble the design of the pendant and look brilliant when paired with the necklace.